This week The Gallery of Lost Art examines the audacious theft in 2005 of a large bronze sculpture by one of the most important figures of modern British art and the wider significance of the work’s loss. When a work of art is stolen it is usually obvious that the thieves know what they are taking and why: to use as collateral in criminal activities, to resell on the black market, or, occasionally, to pass on to a collector. 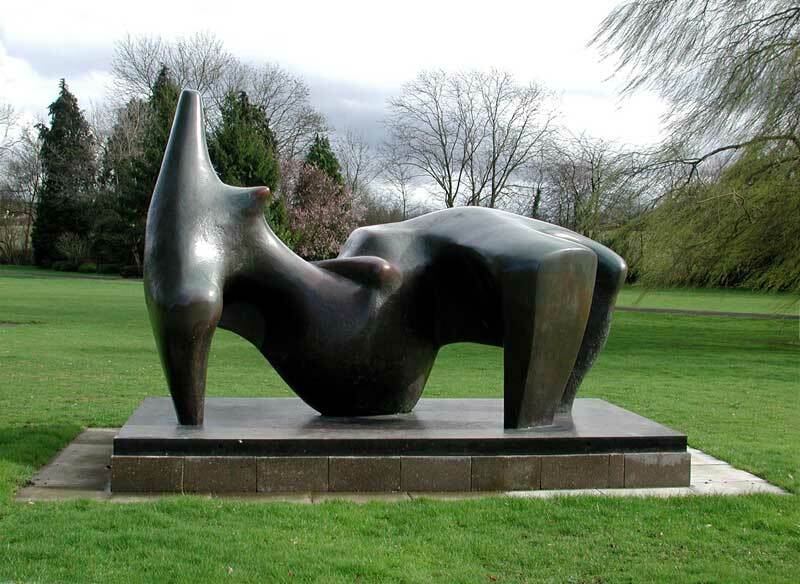 However, in the case of Henry Moore’s Reclining Figure 1969–70, it remains a mystery whether those who perpetrated the crime understood exactly what they were taking and its real value. Reclining Figure was cast in an edition of six, plus an artist’s copy which Moore kept. In 1972 the sculptor included his example of the sculpture in an important retrospective of his work, held inFlorence, a city he loved. 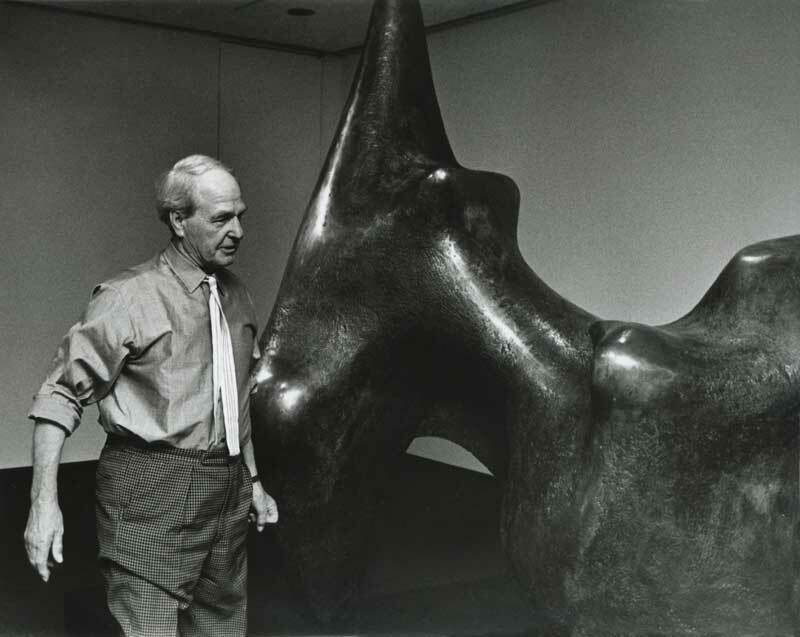 A few years later, he created The Henry Moore Foundation, based at his former home in the in the Hertfordshire countryside, and the cast became part of the Foundation’s collection. The theft in December 2005 of this massive sculpture, which weighed 2.1 tons and measured 3.6 metres in length, from Perry Green was swift and seemingly professional. The theft was discovered the next morning and the police were called but had few leads to go on. Some people feared that the bronze sculpture, worth £3 million at the time, might have been taken for its scrap value, which was less than £3,000. Scrap metal prices had been soaring, fuelled by the building boom in the Far East, and it was suspected this had triggered the recent spate of thefts of large-scale bronze sculptures and plaques. Others, however, were not so sure, partly because the operation had been so professionally executed. Although the police believe that the sculpture was sold for scrap and destroyed almost immediately after the theft, some basic questions – who were the thieves, what exactly did they do with the sculpture and had they ever planned to realise something close to the piece’s value as an artwork – have been left unanswered, and the case remains one of the most well known art thefts of recent times. Blog: Schwitters in Britain: can you identify the collaged figure?